Increase student engagement with powerful communication and outreach tools for clubs & organizations. Interact with club members and recruit new ones, all on the same platform. Gone are the days of group management using makeshift solutions spanning multiple platforms. With Raftr’s Student Groups campus solution student groups, intramural teams, and club sports can organize, communicate internally, and promote their events to the wider campus, in a single platform. 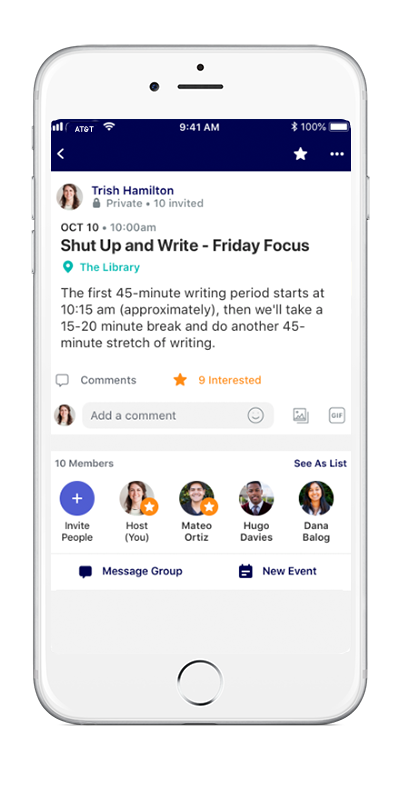 Connect groups across campus, just by providing the group names and the users who'll manage each group. We'll create your online communities based on the information provided, and provide training & resources for club leaders to manage their rafts. Student leaders can create public and private posts and messages, using Raftr for internal communication and planning, as well as external recruitment and promoting of events.